Ken Hall the Managing Director of our UK subsidiary and now Regional Manager of our Sub-Saharan Africa operations stood down as the UK representative on Europump Council (The European Association of Pump Manufacturers) at the last Europump General Assembly held in Bodrum, Turkey. 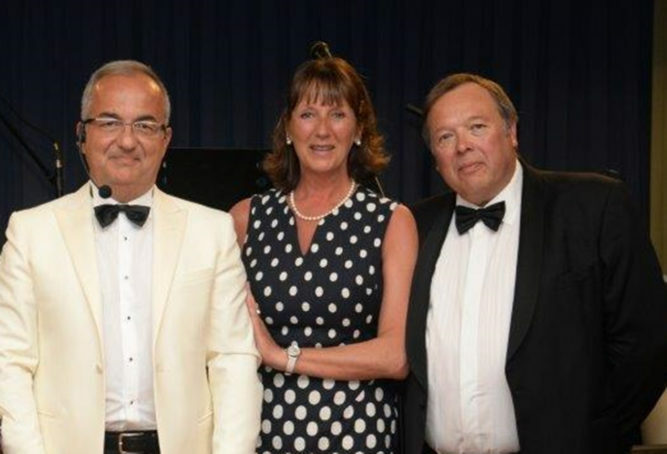 Both Ken and his wife Serena were honoured by the outgoing President, Kutlu Karavelioglu for their long service and support. Ken was also made an Honorary Life Council Member for his services to the organisation and the European pump industry, where he has held the office of Vice-President twice and President. Ken was the architecht of the European Pump sectors energy initiative, Ecopump, having long been Europump’s energy Councillor, advising Europump Council on energy related matters and steering the organisations energy and environmental programmes. Ken is currently based in South Africa where Calpeda is engaged in a major investment project designed to expand their activities across the Sub-Saharan Africa region.